What Does the Populist Wave Mean for Global Aid and Development? 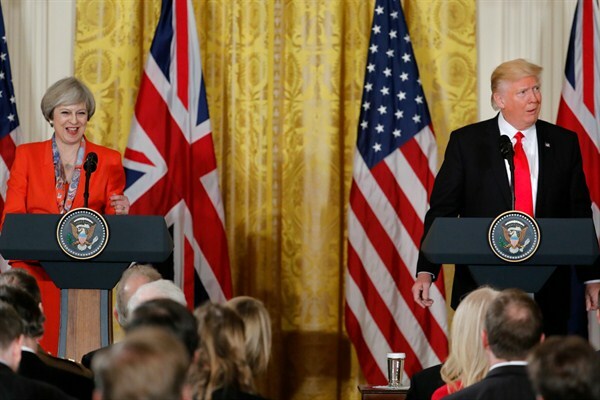 U.S. President Donald Trump during a joint news conference with British Prime Minister Theresa May, Washington D.C., Jan. 27, 2017 (AP photo by Pablo Martinez Monsivais). In November, Nobel laureate Muhammad Yunus warned that a growing gap between the super rich and the rest of the world’s population is a “ticking time bomb” that will lead to exploitation of the poor, immigrants and minorities. There is good evidence that time is running out to keep that bomb from going off.